When is it Not Worth Repairing a Car After a Car Accident? There were over 6 million fatal, injury, and property damage motor vehicle crashes in the US in 2015. Considering that Americans spend an average of 48 minutes per day driving on some of the busiest streets in the world, the number of crashes isn’t surprising. But when you’re involved in a car crash, when is it not worth repairing a car? Deciding whether to replace or repair your vehicle after an accident is a big decision. You have to consider the condition of your car and your budget, among other things. We’ll tell you everything you need to think about when making this decision. Keep reading to learn what your best financial bet is after an accident. Different kinds of car accidents can cause different levels of damage. To learn about the types of car accidents and their impacts, read more here. Regardless of the type of accident you’re involved in, you should report a car accident to your car insurance company. They’ll have an adjuster check the damages. An adjuster can tell you if your car is considered a total loss. If that’s the case, then you’ll receive the value of your vehicle from your insurance company. In the case your car is not a total loss, then you need to look into the cost of repairs. You should figure out whether the cost of repairs outweighs the cost of purchasing a new vehicle. In most cases, fixing the damage is the least expensive option. That’s especially true if you’re receiving help from your insurance company. 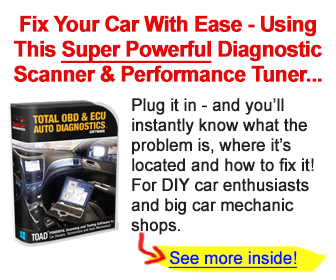 But how do you know when fixing a car is the best option? You should compare your car’s depreciated value against the cost of repairs needed to get your vehicle back on the road. Begin by estimating the value of your car based on make, model, year, and general condition. Then, get a quote on how much the repairs will cost you. Your mechanic can also tell you how much value repairs will add to your car. So, say your car is worth $5,000 and your repair cost is $1,000. Then, your mechanic tells you that the repairs bring the value of your car to $6,000. That means that the value of your car is higher than the cost of repairs. If you wanted to sell your car after the repairs, you’d make your money back. In this situation, the car is worth repairing. However, if the repair cost was $2,000 and your mechanic tells you your car will only be worth $6,000 after repairs are made, you might think about selling the car. When deciding whether to repair your vehicle, you may consider these items as well. Other car troubles. If you’re repairing the car more often than you’re driving it before the accident, you might consider replacing it. When you rely on your car to get to work or to perform your daily tasks, the headache of repairs is not always worth the immediate cost saving. Do you own or lease? If you own your car, you may decide to take the insurance settlement and sell your car to a damaged car buyer. But if it’s a lease, you’ll probably have to make the repairs. How much you owe. Think about how much you owe on the car and take this into consideration when deciding whether to repair it. Time. You need to decide whether you’re going to repair your car quickly. Body shops charge for storage while you make up your mind. Car value. Keep in mind that damaged vehicle can lose value. Up to 30% of pre-accident value can be lost even with great repairs. Before you decide to repair or write-off your car, ask yourself these questions. Then make the calculations and decide whether repairing your car is worth the time and money. If you decide that it’s worth it to pay for repairs, then here are a few steps to help you budget and pay for those fixes. Your claims adjuster will check the damage to your vehicle. After a thorough inspection, they’ll give you an idea of what repairs will cost. But you don’t have to accept this number without getting your own estimates. It’s advisable to seek at least 2 more opinions regarding the cost of repairs. Remember that an insurance company doesn’t choose the mechanic you visit. You’re allowed to request estimates from mechanics of your choice. And if the insurance company decides to go with the mechanic with the lowest price, you’re allowed to raise any concerns you have. If you feel another shop will do a better job, don’t hesitate to talk to your insurance company. For the best idea of what your repairs will cost, get your first quote from a dealership or a larger mechanic shop. You can use this as your base when shopping around. But remember that you’re probably going to pay more for labor at a larger, established shop. Then, ask around smaller shops for quotes. To find reputable mechanics, ask your friends or read online reviews. You should get at least 2 quotes but the more the better. When you take your car in for repairs, you may find out there’s more to be done then fixing the damage from your accident. Decide which of these are absolutely necessary and which can wait until later. For example, you’ll probably have to make repairs to your brakes, tires, and timing belts. But you may not need to fix the back window handle right away. If it’s not in your budget right now, leave it until later. Or, consider what you might be able to fix yourself with the help of an online tutorial. If you had a hard time fitting these repairs into your budget, make sure that doesn’t happen again in the future. From now on, ensure that you have money set aside for potential repairs. You can talk to your mechanic about any problems or costs that he foresees for your car’s future. When is it not worth repairing a car? When the cost of repairs outweighs the value of your car. To determine this, you need to know how much your car is worth, how much your insurance is going to give you, and what the necessary repairs will cost. But there are other things to consider, such whether you lease or own the vehicle. And for more advice, including tips on purchasing a new or used vehicle when the cost of repairs aren’t worth it, check out more of our blog.